Previous life highs at 1035 and 1020-1025 from the upper trendline is a difficult resistance zone. Short term triangle breakout levels of 950/980 could be tested in days to come. Could be a nice place to get back in to it. A move above 1040 could only lead to a major turn on upside till then corrective decline possible. The most closely co-related market to Sensex is showing caution signals as its coming close to testing the lower trendline. Sustained closing below 20500 could lead to a deeper correction till then the trend remains bullish but caution is advised. 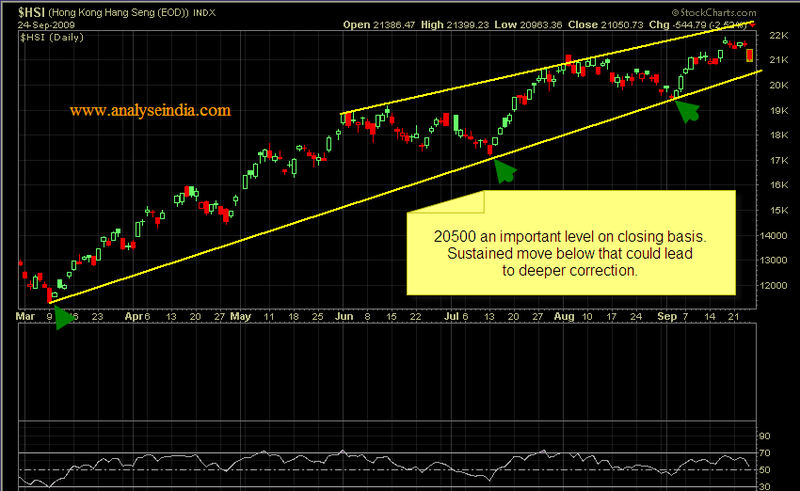 Only a move beyond 21600 could give a continuation of a stronger upmove. Risk-reward is tilting towards shorts. 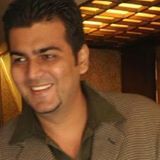 The index has not been able to cross the upper trendline as shown by the green arrows. It might possibly be making a rising wedge /triangle pattern. Sustained closing below 9650 could lead to a deeper correction to 9200/9500 zones in short term. 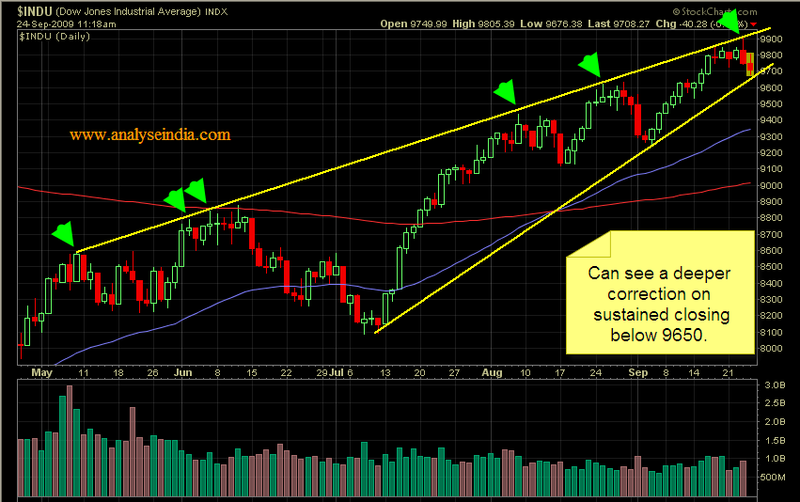 Only a move beyond current highs could lead a turnaround to 10300 which is ruled out as of now ! ! Earlier had posted about a possibility of a major move if crude sustains above 74 which it could not. The support line as seen through green arrows has been broken finally giving caution signals. Sustained closing below 66.5 can take it to 62-60 zones in short term. Only a move beyond 71.5 could take a turnaround which is ruled out as of now ! ! If you like such reports please pass it around so all market participants get aware of the effectiveness of technical analysis.